« New! Sweet Treats Cups! This week’s Pals Paper Arts Challenge is an Inspiration Challenge which means you look at a certain picture and create whatever it inspires you to do. 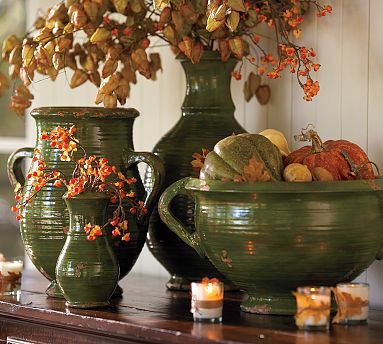 They chose a beautiful fall picture from pottery barn. 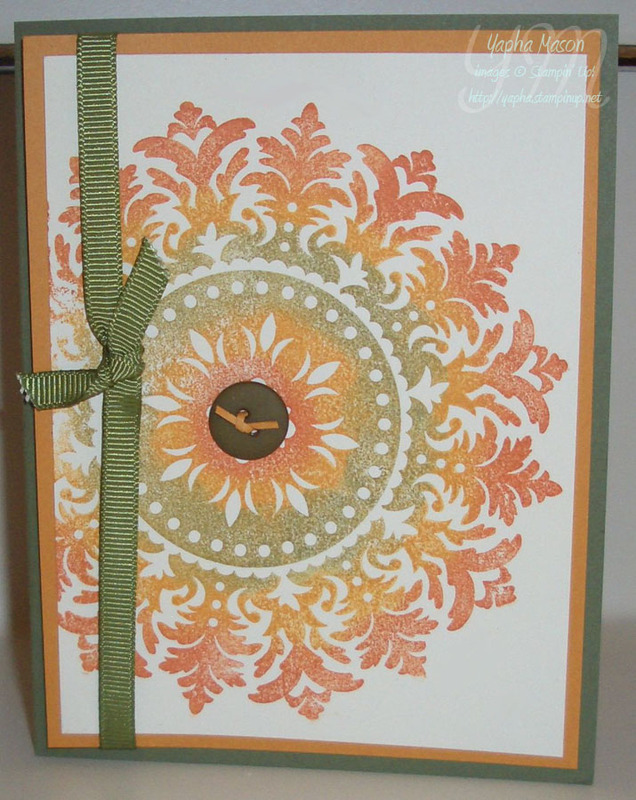 To create the multi-colored stamped image, I first inked up the medallion stamp with More Mustard. Then I used my sponge daubers to add Always Artichoke and Really Rust to it. I love how it came out! I threaded a tiny sliver of More Mustard card stock through the button to finish it off. Perfect fall colors in the medallion. I always love to see how people stamp with – very pretty! I love how you inked up the stamp! The colors are perfect for the inspiration photo! Thanks for playing @ PPA! Love the colors on the medallion. Great card, Yapha! Gorgeous card, Yapha! I love the multi-colored medallion! So simple but so pretty! Great job with the Inspiration Challenge! What a great idea to sponge the colors on this stamp. Love it! This medallion background stamp is probably my favorite stamp in the latest catalog. I love the colors and the technique used on this card!